City Attorney Grant Farrar talks before City Council. 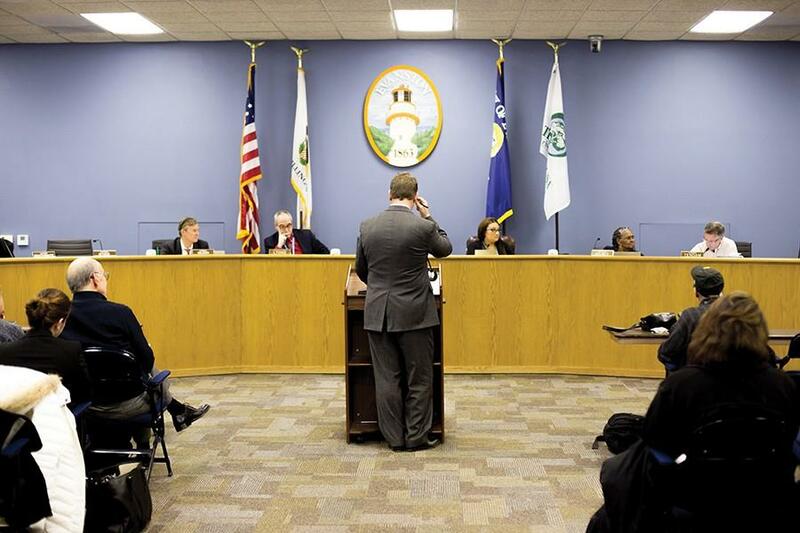 Farrar presented changes to Evanston’s nuisance ordinance Tuesday. City Council discussed Tuesday revisions to proposals for the city’s nuisance properties. City attorney Grant Farrar presented proposed changes to the nuisance ordinance to aldermen for discussion. The ordinance addresses properties that have been the subject of multiple instances of police involvement. He said revisions should reflect a focus on “corrective action” instead of harsh penalties for landlords and tenants. The proposals included a two-tier classification system for properties and striking property forfeiture from potential penalties for repeated nuisance violations. In November, city officials said there were 11 Evanston properties deemed as nuisances to the community. Farrar said discussion among staff to improve the ordinance to better address property issues has been going on for 18 to 24 months. The tier system design was drawn up based on other cities’ protocols related to resolving nuisance problems with properties, Farrar said. Tier one properties would include those which have had few or no nuisance calls, while tier two properties would designate those with more extensive histories, based on staff involvement, call volume and inspection history. Around 15 percent of rented properties would qualify as tier two and require a more “routinized” compliance check schedule, Farrar said. Ald. Ann Rainey (8th) voiced concerns over the tiered system. She said the terminology unfairly singles out tenants that are in circumstances that do not allow them to live in “tier one” housing. Both Rainey and Ald. Peter Braithwaite (2nd) expressed discontent with the absence of zoning issues from property standards criteria. Rainey said zoning regulations help address improper use of property space that would not be addressed under other criteria. Farrar said the revisions would put issues related to zoning laws under the umbrella offense of “disturbing the peace” as a way to avoid the “minutia” of zoning interpretation. Braithwaite said the language of the offense was not specific enough to address recurring issues he has personally dealt with as an alderman. Rainey said zoning laws are also used to address problematic properties with landlords that improperly utilize space by placing more tenants than originally permitted in living spaces, creating unsafe situations. Farrar said staff would work to train landlords and other staff to pinpoint and solve commonly recurring nuisance issues that would fall under disorderly conduct or “disturbing the peace.” He said staff has consulted with organizations such as American Civil Liberties Union to address these issues fairly. Further discussion and introductions of the ordinances are scheduled for Feb. 8.